Being a fussy little banana eater, I always like to use browning bananas in food recipes (so that I don’t notice the brown too much) and so that they get eaten. one of my favourite foods is bananas but I hate the bruises on them, not sure why, I know it wont hurt me. Ping the milk in the microwave until boiling hot. Mash the bananas up. I always warm the butter in the fridge for 15 secs to get it nearer to room temp. Prepare a muffin tray with 12 cases. Preheat the oven to 170 degrees. Cream the butter and sugar together in a bowl (mix it until it goes a light yellowy colour) and then mix in the eggs, one at a time. Once the eggs have been mixed in well, add the bananas and give it a really good mix. In a separate bowl add the boiling milk and soda and mix it with a teaspoon and watch what happens – older children that enjoy baking would love this as the bicarb reacts really bubbly to the milk, I was quite enjoying it! Once the bicarb has mixed with the milk, add this to the mixture and then sift in the flour, until all ingredients are in the pot. 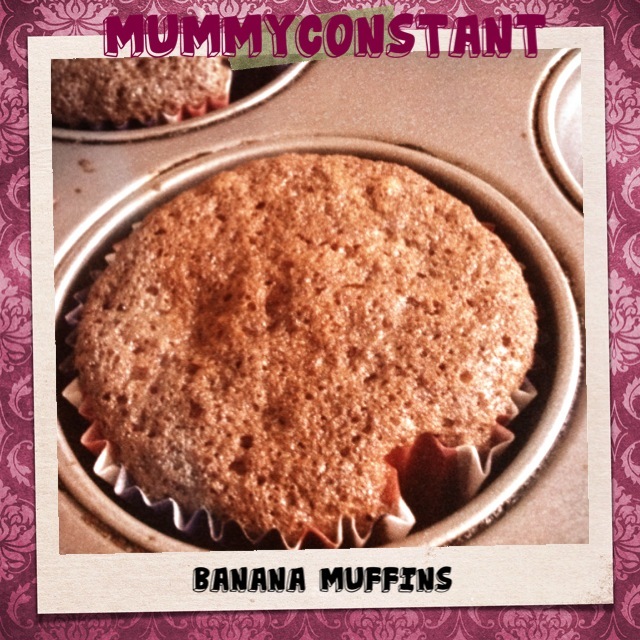 Spoon the mixture evenly into the muffin cases. 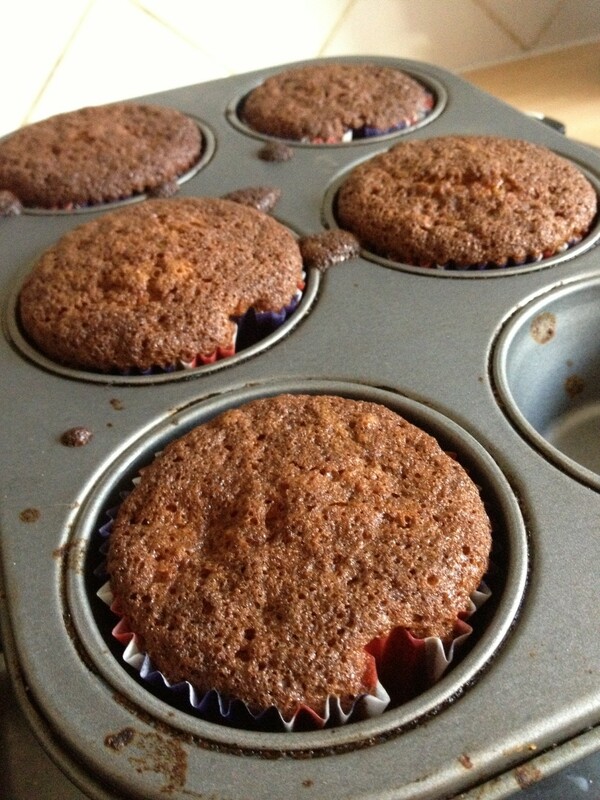 Bake the muffins in the preheated oven for 20 mins. They look a little burnt if you ask me, but they really aren’t I promise. Because of the banana and the browness of the bananas, its turned the mixture a darker colour than you would of expected. Hopefully, they will taste fab and you can then start to explore with different toppings and extras!